Koki is a traditional Sindhi word which means basically thick unleavened bread. 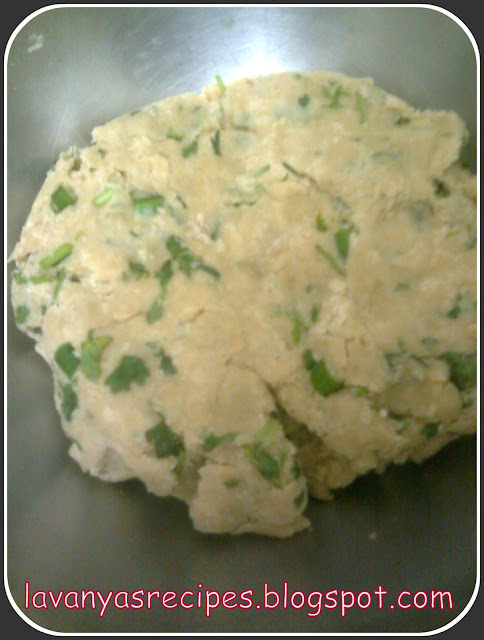 It is a simple dish made with different flavours. I am making Missi Koki which means it is flavoured by mixture of spices. This is usually a breakfast item but now a days with hectic life it serves purpose of simple dinner though with ghee it might seem heavy. 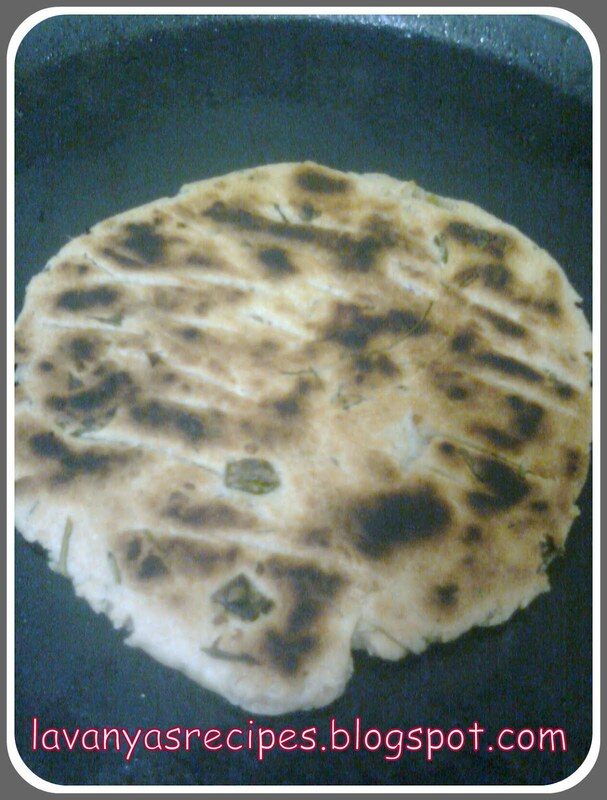 Try it as its simple and easy to make dish. In a pot add flour, melted ghee and salt. 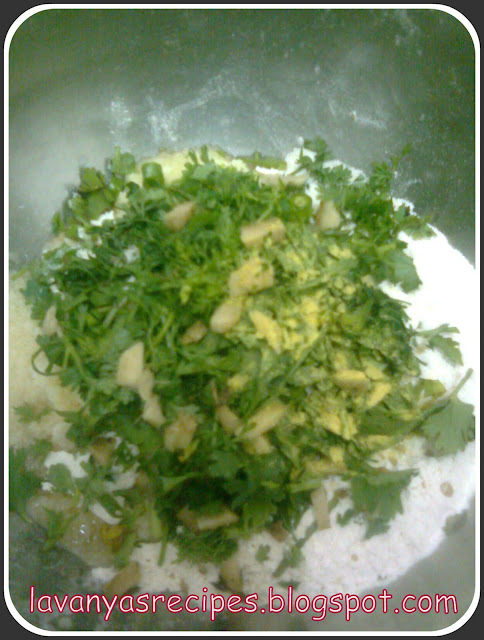 Also add ginger, green chillies, hing and chopped coriander leaves. Mix and add water slowly to make hard dough. It has to be harder than normal chapati dough. Cover and keep the dough for half-an-hour. Heat the griddle or tawa. Divide the dough into equal medium sized balls and roll out roti with about half inch thickness. Cook the kokis on slow flame turning twice or thrice. 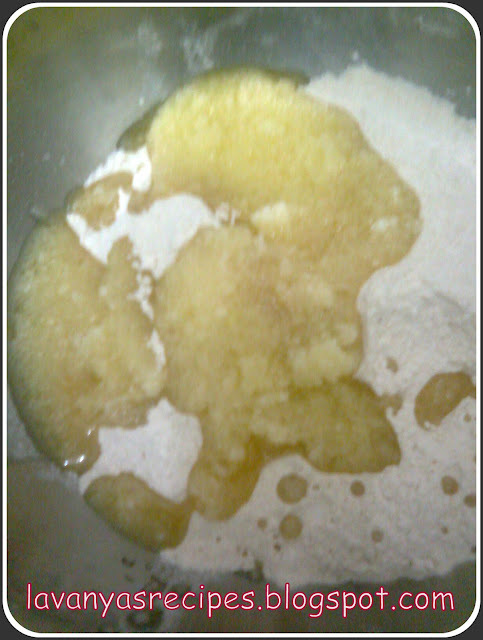 Pour some ghee at intervals to cook the kokis. 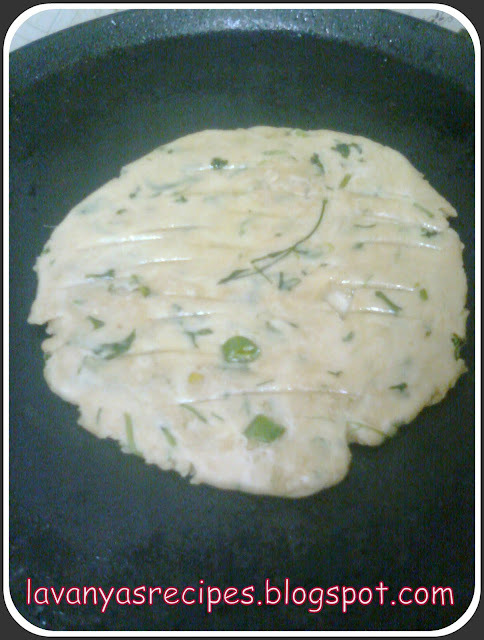 Slightly poke the koki with fork to enable ghee to penetrate inside. Cook till koki is bit brown on both sides. On slow flame it should take about 5-10 mins to cook both sides. Be careful not to burn either side. Remove from heat and serve it. Serve delicious Missi Koki with curd/pickle/tomato ketchup. Some people prefer to have it with a cup of tea as well. wonderful u made it look even better than i did. 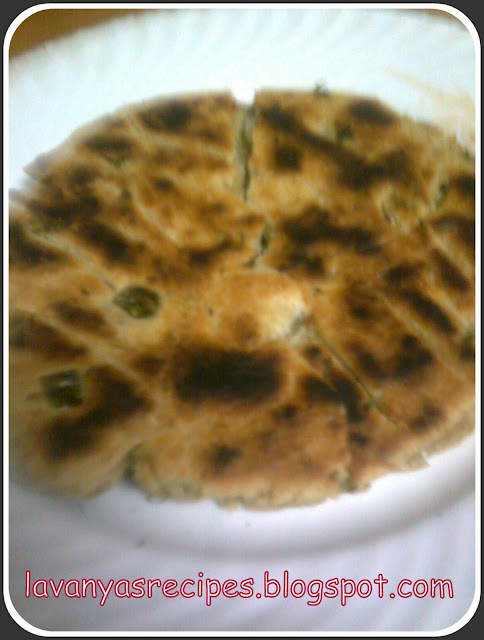 lovely and delicious missi koki roti. Very flavorful and healthy koki..
very crispy and tempting koki. Thanks to Meena and Lavanya both. Wonderful presentation.